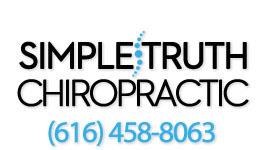 Interested in getting your kid under chiropractic care? There are many parents that don't know where to turn when it comes to keeping their children healthy. What most people don't realize is that health issues can start right from birth during the birth process. Even "natural" births can cause a lot of stress and trauma on an infant's spine and nervous system. The resulting trauma from the birth process creates irritation and disturbances to the developing nervous system and can be related to many of the complaints in children. Some of which include nursing difficulties, trouble sleeping, difficulty breathing, colic, allergies and chronic infections. All of these conditions can often be traced back to dysfunction in the nervous system. Most people wonder what the best time to bring their children in to see a chiropractor. Due to the fact that trauma can occur at birth, research shows that bringing them as soon as they're born to get checked right away is the best time to bring them. As the child starts learning to crawl and walk, they will fall a lot and incur a lot of injuries throughout their childhood. Having them regularly checked will ensure that their spine is healthy. As children get older, they start to increase their level of activity. They start riding bikes, skating and playing sports. These activities can create small, yet significant spinal misalignments. If uncorrected, these small injuries can lead to serious problems later down the road. These subtle traumas during childhood lead to impaired function in the nervous system. Any interference or disturbance to the nervous system prevents the body's ability to heal and function at it's best. How do you know they need chiropractic? One thing to remember with children is that they are very different from adults. If they are 3 years or older, they can't tell you where their pain is at, or if their pain levels are getting better. Regular chiropractic check-ups will ensure that their spine is healthy as possible before problems occur. You may have heard that chiropractic helps with a specific childhood condition. We often see children with conditions such as colic, ear infections, asthma, allergies and headaches (just to name a couple). The first thing we teach our parents is that a chiropractor does not treat conditions or diseases. That is what a medical doctor or a pediatrician does. As a chiropractor, our job is to find and correct any vertebral misalignments (gently and specifically) that may be impairing nervous system function. The nervous system controls and coordinates every single aspect of the body. It helps to regulate respiratory, hormonal, circulatory, and digestive systems. Your brain sends signals through the spinal cord and out through nerves that leave the spine to go to the different organs. If there is a vertebra that is out of place anywhere in the spine, it can disturb or interrupt these signals. The chiropractic adjustment in children helps to restore nerve function and allow the body to heal and function. As a result, we've seen many children with different conditions do very well under chiropractic care. If you would like to get a pediatric chiropractic check up for your child, give us a call at 616-458-8063 or request an appointment online.